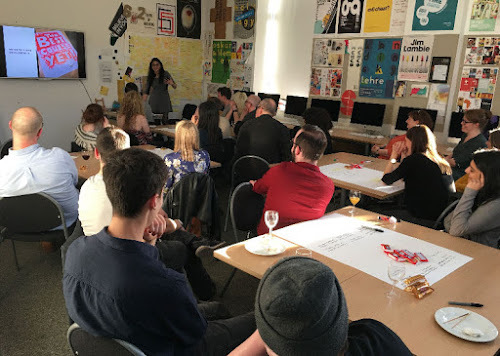 Some photos from the last mentoring evening of the 2015-16 session. 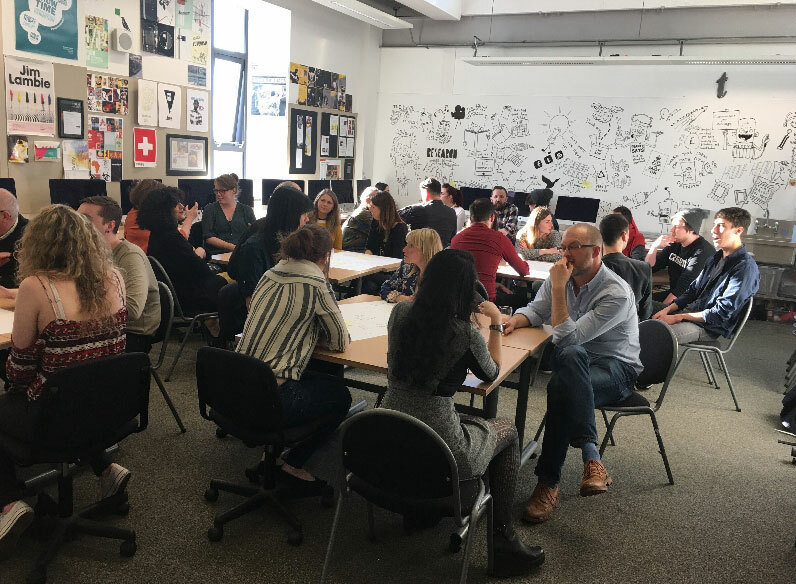 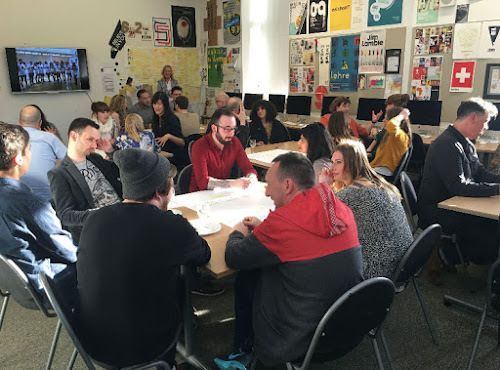 This event allowed our final year students to run their major project ideas past their mentors, and to talk about their whole experience of the course and their thoughts for the future. "It was wonderful to see and feel so much energy and passion buzzing around the place and I was particularly impressed with the guys who presented what the course had given them. 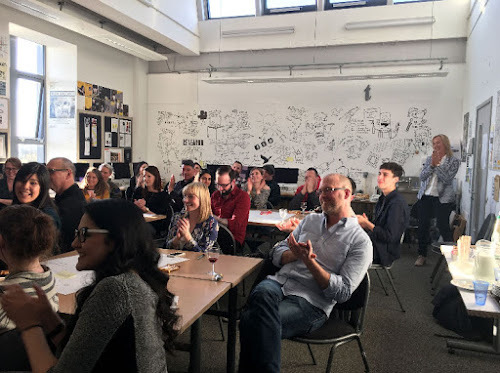 The humour, delivery and analogies showed great ability to engage with an audience – a crucial skill for their futures." The final project deadline is the last week in May, and our annual Industry Night and Show takes place on June 9th at the Fruitmarket Gallery. We'll be announcing further details of the show in the next week or so.